The name refers to Corcomroe Abbey, which is located on the south side of the hill, near Bell Harbour (Bealaclugga). 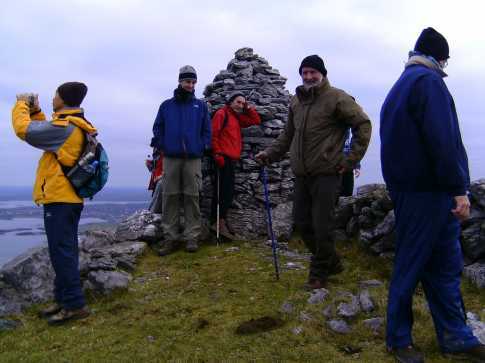 Walks: for a walk to the summit of Abbey Hill and around the N slopes, see Kevin Corcoran, West of Ireland Walks, 43-50, or Whilde & Simms, New Irish Walk Guide - West and North, 24-25. Abbey Hill is the 1297th highest place in Ireland. Abbey Hill is the most northerly summit in the West Clare area.